Discussion in 'Public Events' started by Lina, Mar 20, 2019. 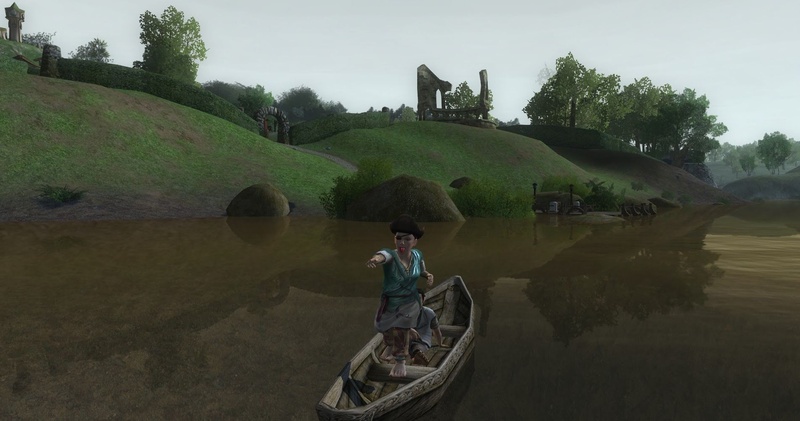 Arrr you ready for another treasure hunt in the Shire? Come and search for the forgotten pierate treasure in Buckland! I hope you have all recovered from our last mysterious adventure where the search for a lost hobbit lass led us to pork and multiple Yule baths. I would namely need your help and wits again to solve another mystery. This time, I am pretty sure that Miss Almi is not involved. Pretty sure. I hope you are fine with that. Anyways, I recently talked to a customer about the absence of pierate attacks in Buckland, and then he mentioned this lost treasure from long ago. A real pierate treasure! According to his story, this treasure, a bag of coins, was looted by the pierates from a ship that got wrecked on the Brandywine. However, the story also says that this treasure was somehow cursed, disturbing the peaceful life of the Bucklanders. In the end, the pierates decided to hide the treasure, to put an end to all the misfortune. Then, the pierates grew up, lost interest in pireting and plundering, and the treasure was forgotten. However, it is said that the instructions to the treasure’s location have been archived in the uppermost libraries of the Brandy Hall. First of all, I don’t believe in silly curses, but I do like solving mysteries. And well, there is also a bag of coins involved. First, we need to get them instructions from Brandy Hall, I suppose we can’t dig up the whole Buckland. So, please meet me in front of the Brandy Hall in Buckland on Sunday, April 28th at seven and half bells. Let’s find this treasure! Arrr! OOC: This is a roleplaying event for hobbits and maybe some lagging dwarves. We search for a treasure by solving riddles in Buckland. This event is safe for low levels, as we won’t go outside Buckland, and definitely not into the Old Forest. The event will last for an hour or so, depending on our pace. Please make sure that your emote channel is turned on, there might be some important information there as well during the hunt. Welcome to have fun with us!